If you don’t think about strategy before you dive intoPinterest marketing, your pinning efforts are very likely to be a giant waste of time. 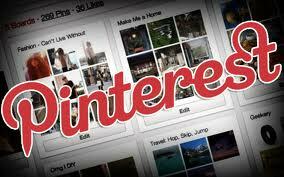 AARP, for example, is using smart Pinterest strategy. It cleverly-named boards that reach out to their target audience, like “50-Plus Technology” and “Movies for Grownups.” Senior members on Pinterest know that this content is just for them, because it’s personalized specifically for the needs and desires of the 50-plus crowd. And when customers know that you’ve taken the time to figure out what they want, they’ll keep coming back for more. Building relationships is great — but you want to do so in a way that helps you meet your larger objectives. 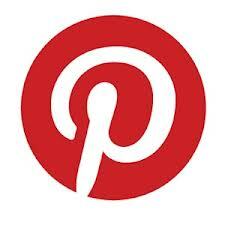 Keep in mind that Pinterest is just a part of your online marketing strategy. Your goals are simple: Drive traffic back to your website, add people to your mailing list and turn those visitors into buyers. Picture your marketing strategy as the wheel of a bicycle. Your content-rich website or blog is the hub of that wheel, and social media tools like Facebook, Twitter and Pinterest are the spokes. And while they are very important spokes, they are nonetheless merely spokes. 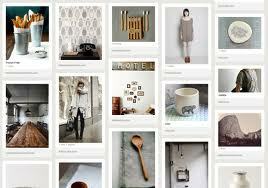 Social media tools should act as distribution and traffic-building mechanisms for your website’s top-quality content. Building relationships and trust on social media is incredibly important, as well. However, if the people with whom you’re building these connections never leave your Pinterest profile or Facebook page, then you are spinning your wheels. If your Pinterest efforts aren’t helping bring people to your business’s door, you need to change the way you are using the site. Before you start pinning, you should also think about things that you are passionate about that you can use as springboards for content. The word “interest” is built right into Pinterest’s brand name, so don’t commit the cardinal sin of being boring when you pin. Bethany Salvon of the travel blog BeersandBeans.com lets her brand’s personality shine on herPinterest profile. Some of her boards are what you would expect from a travel blogger, but she also has collections on quirkier topics, like her “VW and Tiny Homes” board, which is dedicated to minimalist living spaces. People will remember it, pass it on via social media and connect with Salvon through this quirky content.